Hot on the heels of her debut album, WildHorse, racing to #1 in its first week of release, Warner Bros. Records/Warner Music Nashville star RaeLynn is poised for yet another career highlight – making her late night TV debut. The complete list of RaVe TOUR dates and information on ticket sales can be found at http://www.raelynn.com. 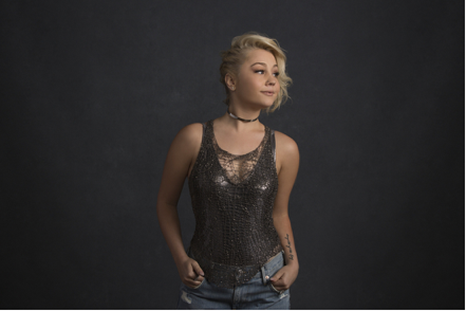 RaeLynn’s current single “Love Triangle” is the powerful first track from her Warner Bros. Records/Warner Music Nashville #1 debut WildHorse, produced by Jimmy Robbins and Nicolle Galyon. “Love Triangle” tells her personal story in a way that “is a raw and emotional account of what it’s like to be the child of divorced parents” (People Magazine), which media and fans have immediately gravitated to, evidenced by the single hitting Top 11 sales per spin while the music video has racked up 6.2 million views since release. The remainder of the 12-track album, 11 of which were co-written by RaeLynn herself, is a broader look into her life over the past few years since her breakthrough on NBC’s hit show, The Voice. Recently nominated for the 2017 Radio Disney Music Awards fan-voted THE FRESHEST! – BEST NEW ARTIST COUNTRY and selected as a 2017 “Country Artist to Watch” by Pandora Radio, Napster and Billboard, RaeLynn has tallied 104 million plus cumulative career streams. She is poised to follow in the early success of her Top 10, GOLD-certified song “God Made Girls” that has racked up more than 925,000 track equivalent sales and has been streamed more than 48 million times. The track was nominated in 2016 for Radio Disney’s Favorite Country Song, earned her recognition as one of CMT’s Next Women of Country and was the highest charting debut single by a solo female in 2014. The music video has accumulated more than 28 million views and earned her a pair of CMT Music Award nominations for Female Video of the Year and Breakthrough Video of the Year in 2015.